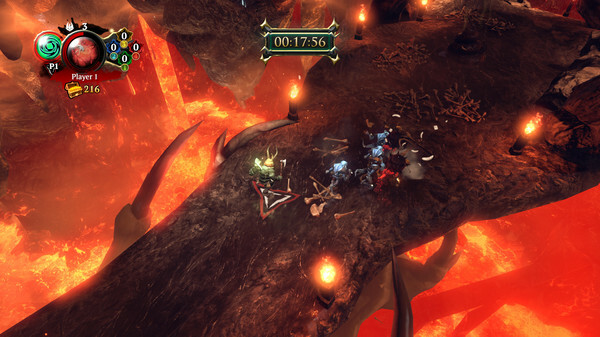 Step into the warped fantasy world of Overlord: Fellowship of Evil, the dark and twisted Action RPG filled with the series’ signature black humour. 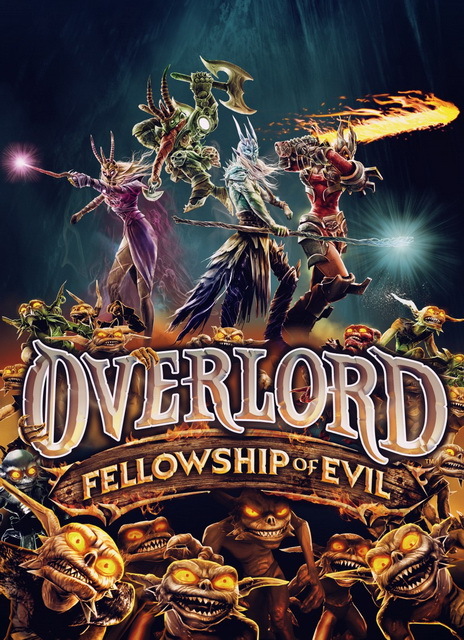 Penned by award-winning original Overlord scriptwriter Rhianna Pratchett, Overlord: Fellowship of Evil delivers an epic new quest featuring four Netherghūls – undead servants of the dark arts, resurrected in the absence of a true Overlord, to bring evil back to a world overrun by the forces of good. Assisting gamers once again are the mighty, maniacal and occasionally moronic minions, ready to unleash their charmingly chaotic brand of destruction and led by Gnarl, their wise old master, voiced, as before, by actor Marc Silk. 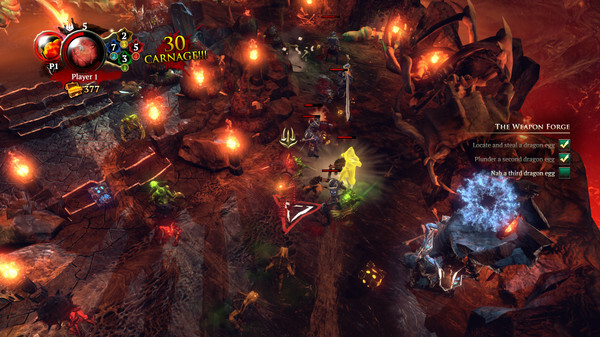 Embark on a brand new Overlord adventure in single-player or with up to three friends in local and online single-screen co-op. 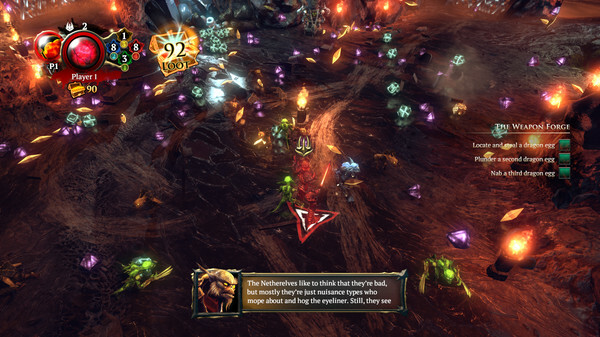 Filled with fun combat and twisted fantasy tales, Overlord: Fellowship of Evil invites players to dive into an Action RPG where it’s good to be bad, but it’s GREAT to be evil. Overlord is the only series that actively encourages players to have fun being the embodiment of evil, destroying all that is good in a subversive, comedic manner. 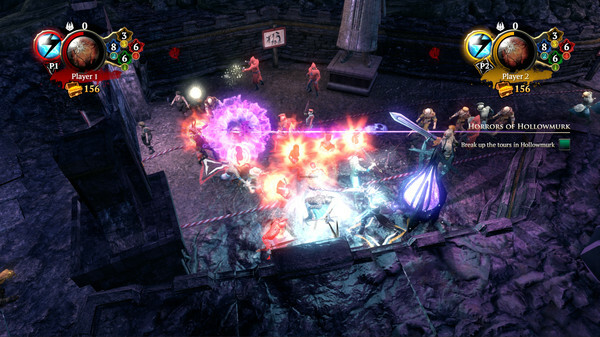 Fellowship of Evil captures this essence and adds in four-way, chaotic co-op play where gamers can even turn on each other. Evil always finds a way…sometimes it just needs a bit of a nudge. -Series signature dark, mischievous humour Award-winning scriptwriter Rhianna Pratchett returns with a twisted and hilarious tale of evil, chaos, Minions and the burning desire to destroy all things good! -Invade. Smite. Loot! 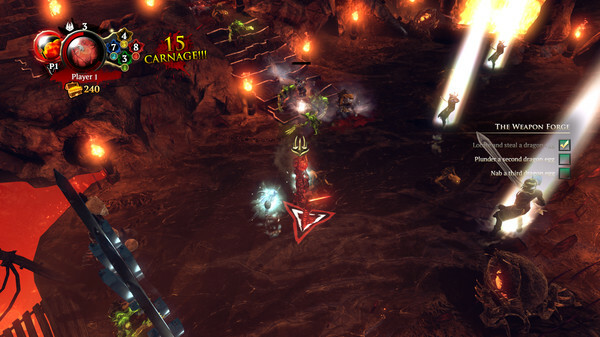 Work your way through the Netherworld and unleash hell on the world above! Trample the weak under your evil size 10s with fun and satisfying combat, combining unique abilities and melee attacks to dominate all who stand before you! Share loot or steal the spoils- how far are you willing to go in the Trials of Evil? -Four times the players, four times the fun! Evil has a new face. Well, four faces, actually. But who wears the evilist? Er, eviler? You decide! Pick from any of four distinct Netherghul characters, each with unique abilities. Play as a team, or screw each other over – evil never plays by the rules! Operating System: 64 Bit Windows 7, 8 or 10 Processor: Intel Core i3 Series or AMD FX Series Memory: 4 GB RAM Graphics: AMD HD4850 or Nvidia GTS250 DirectX: 10 Hard Drive: 5 GB available space Sound Card: DirectX Compatible soundcard Additional Notes: Performance may be lower on some mobile hardware, this spec is based on desktop hardware.